All hail the new scholars of the nation. The University of the Philippines College Admission Test (UPCAT) results for academic year 2015-2016 has been released by UP Office of Admissions on Monday, January 12. Of about 87,000 students who took the UPCAT last August 2014 in 82 testing centers around the country, about 13,100 passed the said exam. The total number of UPLB passers in the UPCAT 2015 is 2,530, according to data from the Office of Admissions posted on the Office of Student Affairs (OSA) website. Two programs from the College of Arts and Sciences (CAS) garner the top two spot in terms of number of passers: BS Biology (183) and BS Computer Science (172). The BS Development Communication program, offered by the College of Development Communication (CDC), is third with 132. 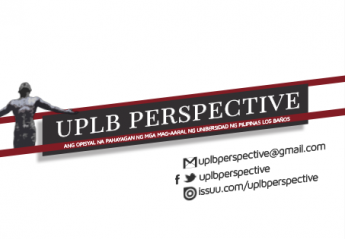 Five hundred and thirty four students, meanwhile, also passed in UPLB, but will be admitted in a degree program with available slot (DPWAS) of their choice. In social media, meanwhile, “Congrats UPCAT” trended on Twitter worldwide just hours after the UPCAT results were out.